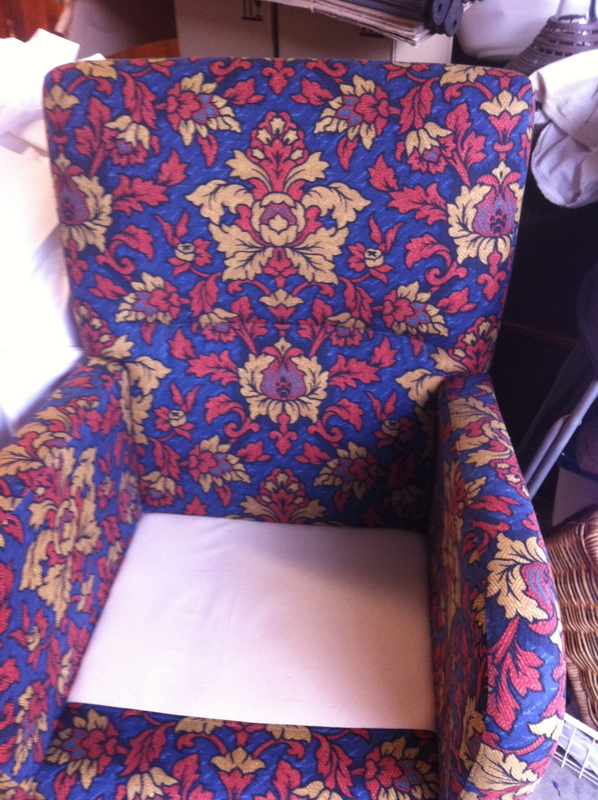 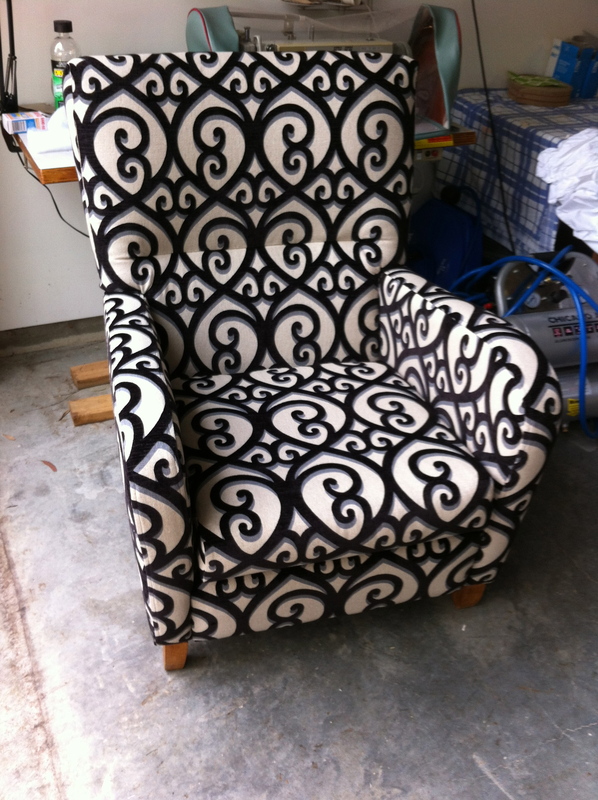 I always love been involved in bringing a much loved chair back to it’s glory days. 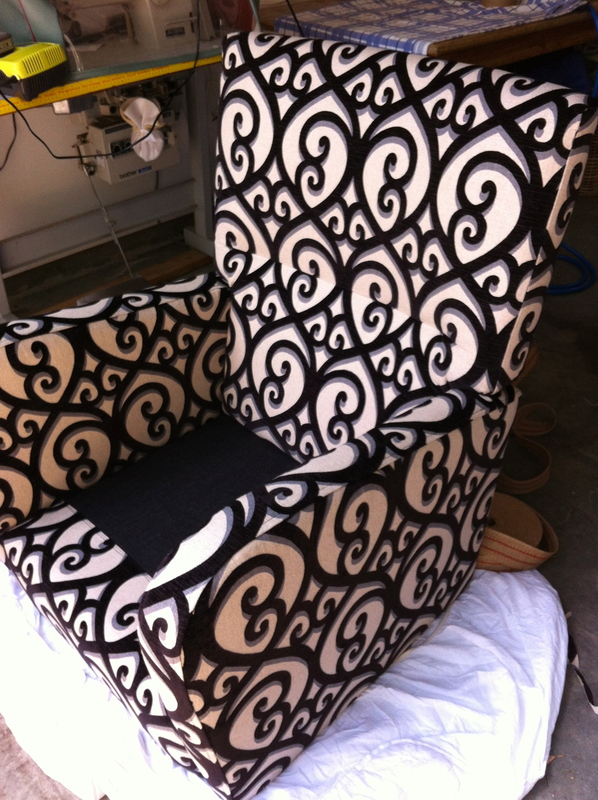 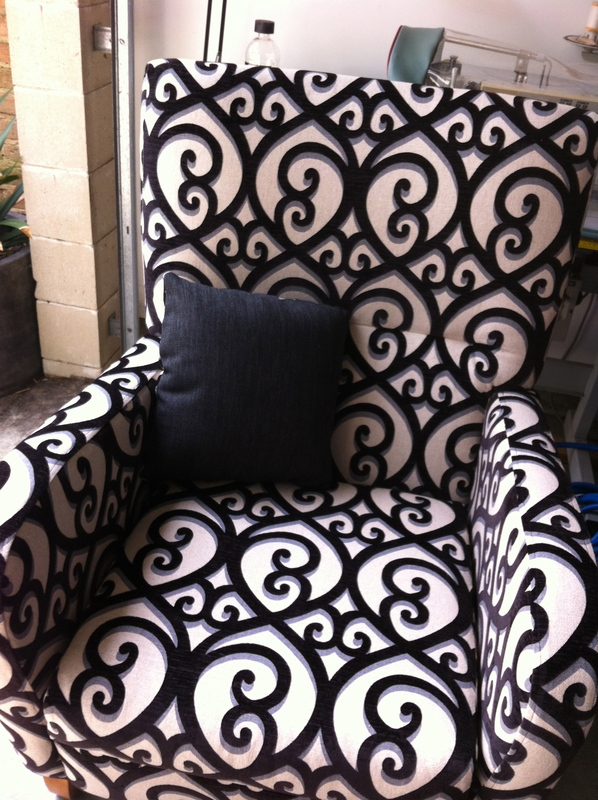 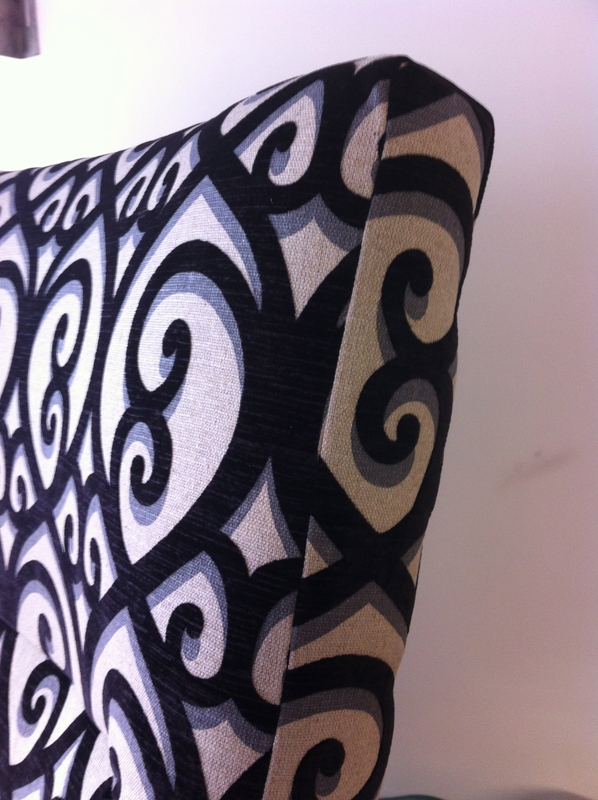 The fabric arrived – happy days, it didn’t disappoint – fabulous pattern great to work with. 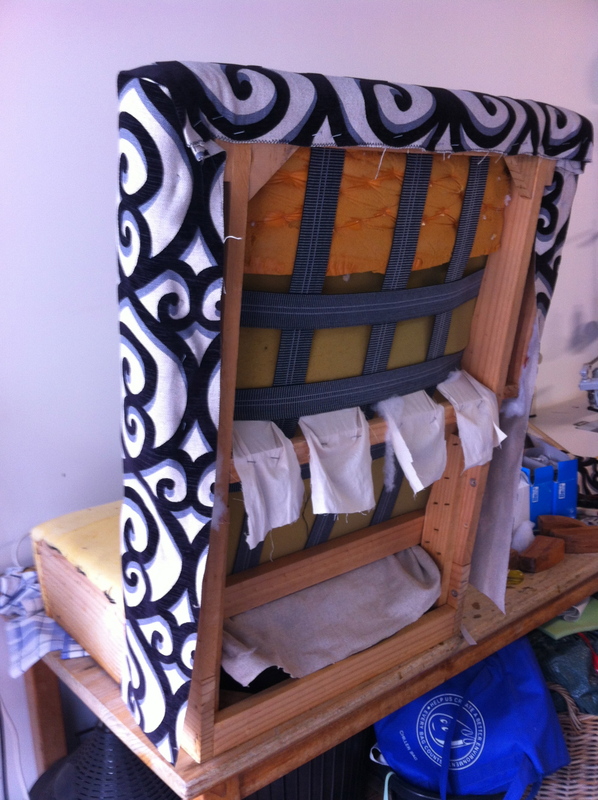 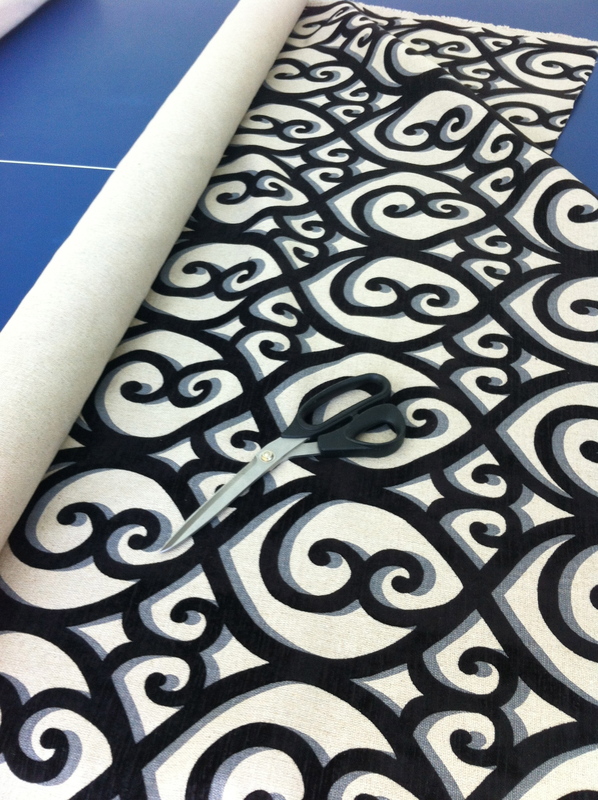 Now to work – cutting and making sure the velvet was going the right way. 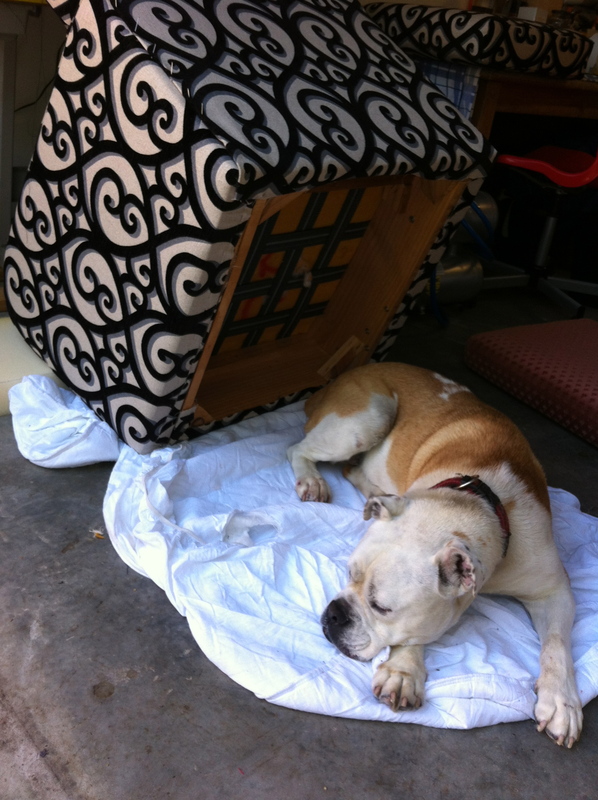 For some reason my dog Jed also loved the chair although I made sure he didn’t get up on it – he always found the closest spot near it.